One of my former students, with only six months of practice already knows the secret to success and explores it below. I have now been in solo practice for just a little over 6 months and thought it might be a good time to reflect and look back on what has happened with my practice. First off, business is good, damn good. I live in a small rural area of Indiana, population 12,500. In my immediate area we have 4 full-time practicing attorneys (including myself). I have learned quickly that “selling the sizzle, not the steak” is paramount to my success. While I don’t want to stand atop of the mountain with my arms raised in triumph yet, I am well on my way. I know for certain that a number of my clients left the other three attorney’s based on my “customer service” not my end product. We all sell the same thing, I just do it differently. I don’t put myself above my clients, I understand them, I sympathize with them, and most importantly I talk TO them not AT them. Simple example. I have a “custom” Will package that I market for $500. This includes the Will, DPOA, MPOA, consultation and signing. My competitors offer the same package for $150. This week alone I have 14 said packages sitting on my desk in draft form. Two of these clients just paid and received packets from another attorney. 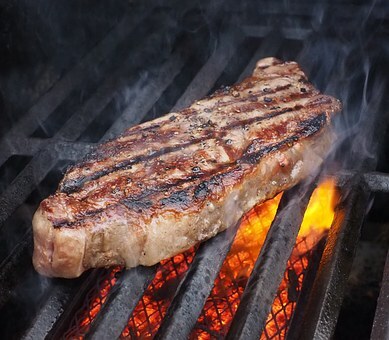 Here is the sizzle, not the steak part. I meet with my clients no fewer than 3 times before we ever think about signing a document. Meeting #1: 45 minute consultation explaining the process, the need for the documents and how the documents can be customized. I share success stories, and horror stories of poorly written documents. I give them advice on how to pass assets after death without them passing through the estate. (Beneficiaries, Payable Upon Death declarations, etc..) I give them a packet/questionnaire (thanks to 60+ clinic) with a return date for 1 week. We have coffee and discuss their family and the stuff on my walls. Meeting #2: 1 hour meeting to go over every detail of the questionnaire, I answer questions and take diligent notes. I send them on their way and I draft their documents after we have coffee and discuss the stuff on my walls. after I draft their documents, I put them in a nice (cheap) folder that has a slot for a business card and one of my brochures (basically an “I love me” brochure introducing myself with my background and what our practice does, purchased through www.nextdayfliers.com) and their “draft” documents. I include a letter asking them to carefully review the documents and stress that these are their documents and they need to make sure their desires are met. I include a date 2 weeks out for them to return. Meeting #3: 1 hour meeting to make last minute changes, answer last minute questions, then we execute the documents. I make copies for them and we have coffee chat about the things hanging on the wall and they pay me. My competitors: 15 minute meeting to tell them what they need, jot down notes, and have them return after “they have time to do their documents.” 1 month later (maybe) the client gets a phone call to come in and sign their documents. Upon their arrival the paralegal shoves the documents in front of them, at the counter, and tells them to sign at the bottom. The attorney never meets with them a second time and has already signed the documents. They are then sent on their way with their “custom will package” and it cost them $150. I have been successful in my few short months, hiring a full-time paralegal with 15 years experience. I’m looking at expanding my office and looking to hire another secretary. I’m swamped with work. I work 10 – 12 hours a day. I’m convinced that without the lessons from Prof. Bauer about “selling the sizzle, not the steak” I would not be doing as well as I am today. Much more I can share, but this one is long enough…. If you provide the same service that online services provide, you should not expect a different outcome concerning perceptions of value by your clients. You need to distinguish your service from everyone else and you will not be competing by pricing your services lower. ← Trust But Verify. . . .